Flareon all the way! I've always loved that furball, even if its stats and attacks are useless for competitive battles. xD It's just so cute! Without a shadow of a doubt, my favorite Eeveelution is Glaceon. I first started to notice how cool (cx) it really was back when I used mine in Revolution. She was on fire (cx), simply put, in her worst fights, she always managed to take a foe down before falling herself. Being Ice was a bonus in my books (Ice is my favorite type now), and the design the more time went on, the more I liked it. Graceful, elegant, cute and... cool (okay, I used that before, but c'mon!). I'll admit I used to like Umbreon a lot since it was a Dark-type, but Glaceon when it was introduced COMPLETELY turned that around! Glaceon drew me more to the Ice-type and without a doubt it is my favorite Eeveelution, second being Umbreon. wait... Sylveon? what is this slyveon of which you speak? 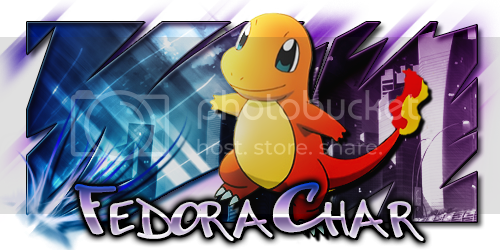 Banner by the legendary Neo Emolga! I kinda feel bad for Espeon. She's so great but it's hard to win in a pool of eeveelutions. Im glad to see Umbreon has the lead! Coolest looking Eeveeultion hands down.